Archasis II is a moderately-paced first/third person shooter total conversion for UT3 set in a fantasy world of swords and magic. It features RPG-like player progression, cooperative objective-oriented gameplay, a variety of character classes, multi-path skill trees, and a hybrid of 3rd-person melee and 1st-person ranged combat. Nice view, even though the textures look too much the same. 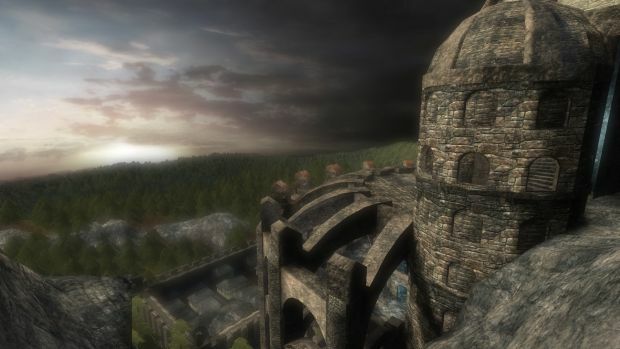 This is fantastic.. so if I have understood correctly.. You could create your own games (standalone), or make things that look this amazing, such as this screenshot, with almost endless possibilities using UDK? Well actually, this screenshot is using UT3... with the UDK it should look even better! True, although UDK handles normal maps better, has a indirect illumination lighting engine, and also real-time ambient occlusion which does make it look more awesome just on its own.